Documentary explores the cult of Filipino action star Weng Weng. Weng Weng may have had a short life, but decades later, his legacy continues to bring delight to those adventurous enough to look beyond Hollywood for their cinematic thrills. 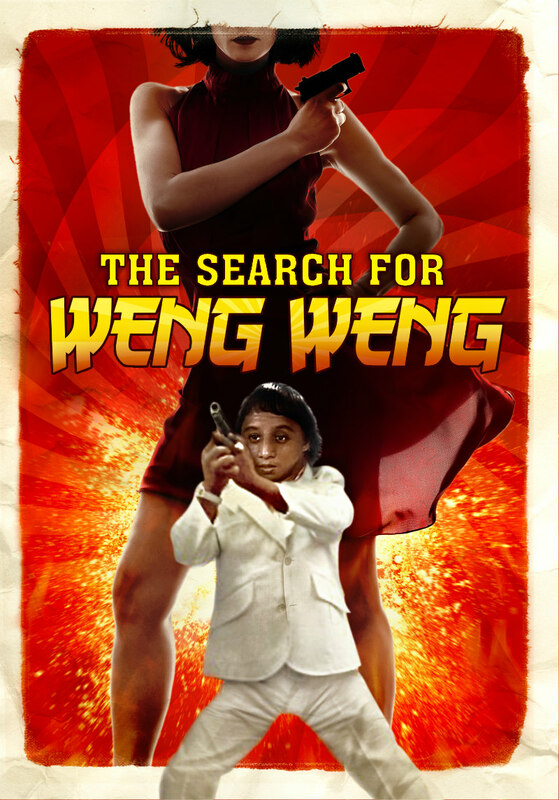 The Search for Weng Weng is a must see for anyone who falls into such a category. In a year that's given us documentaries on the career of Brian De Palma, Truffaut's famous Hitchcock interviews and the coercion of a South Korean filmmaker and actress into shooting propaganda movies for their Northern neighbour, all are beaten into second place by an exploration of the career of one of cinema's unique stars, Filipino action star Weng Weng. Standing at a proud 2'9", Weng Weng's star shined brightly, if briefly, for a few years in the early 1980s, as he starred in a series of cheaply made, but truly thrilling action movies. Those of us in the west have had to settle for dodgy VHS transfers of his two most famous works, 1981's James Bond knockoff For Your Height Only and its 1982 sequel The Impossible Kid. Both are impossible to forget once you've seen them, their insane stunts and set-pieces burned forever into your psyche. Australian cult movie aficionado Andrew Leavold fell under Weng Weng's spell so deeply that he devoted seven years of his life to making The Search for Weng Weng, a documentary that seeks to learn more about the enigmatic icon. Like the rest of us non-Filipinos, Leavold had only been able to scratch the surface of the Weng Weng phenomenon. Arriving with his camera crew in the Phillipines, he's surprised and delighted to learn the actor starred in close to a dozen movies in total, though most have disappeared at this stage, hence the abundance of footage from the three surviving films - For Your Height Only, The Impossible Kid, and western spoof D'Wild Weng Weng - used throughout this doc. Leavold's quest brings him in contact with Weng Weng's various former co-workers, most still grinding out a living on the lower rungs of the Filipino film industry. They relate fond memories of the star, but also speak of the dark side of his fame, of how he was exploited (as was practically everyone working on low budget movies in the Phillipines of the '80s) by unscrupulous producers, and of his sadness at not fitting in with mainstream society. Weng Weng's surviving family members are tracked down, giving an eye-opening glimpse into the shameful conditions many Filipinos are forced to live in due to poverty, and speaking proudly of how Weng Weng beat the odds to survive his precarious first six months, during which he was incubated under a bulb in a shoe box! In a surreal twist, Leavold is invited to the home of the infamous Imelda Marcos, and ends up as a guest of honour at the former shoe lover's 83rd birthday party. She's more than happy to speak of her affection for Weng Weng, and even invites the camera crew to visit the crypt which houses the embalmed body of her husband and former dictator, Ferdinand. Bizarre stuff indeed! There are two main takeaways from Leavold's investigation. On the down side, it's made clear how Weng Weng was an exploited victim of a cruel society, but we also learn of how much pride and joy he brought to a nation that badly needed a hero at the time. Dead by the age of 34, Weng Weng may have had a short life, but decades later, his legacy continues to bring delight to those adventurous enough to look beyond Hollywood for their cinematic thrills. The Search for Weng Weng is a must see for anyone who falls into such a category. 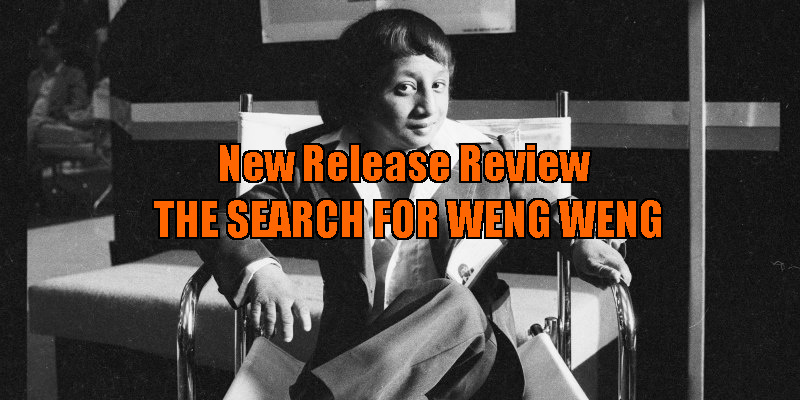 The Search for Weng Weng is available now on DVD and VOD.